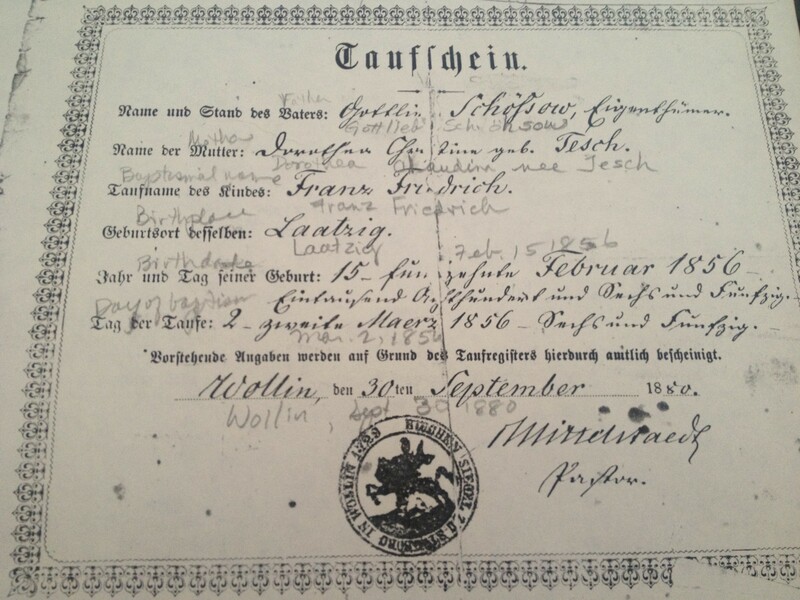 Today I’m featuring baptismal certificates and other documents relating to those baptisms. 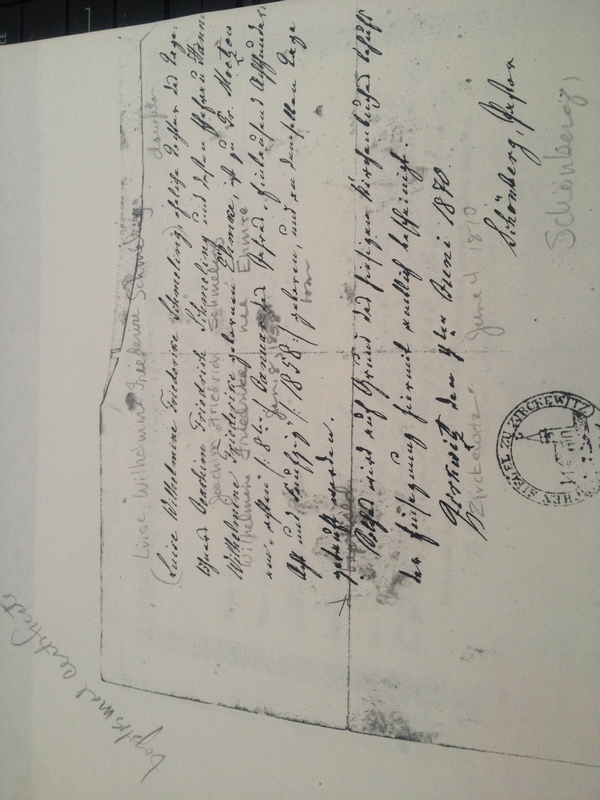 These come from my collection of Prussian documents from the Schmeling/Schessow (once spelled Schohsow) family. I can’t tell the specific denomination, but my grandma was Lutheran, so I imagine these were all from a Lutheran or Protestant church in Prussia. 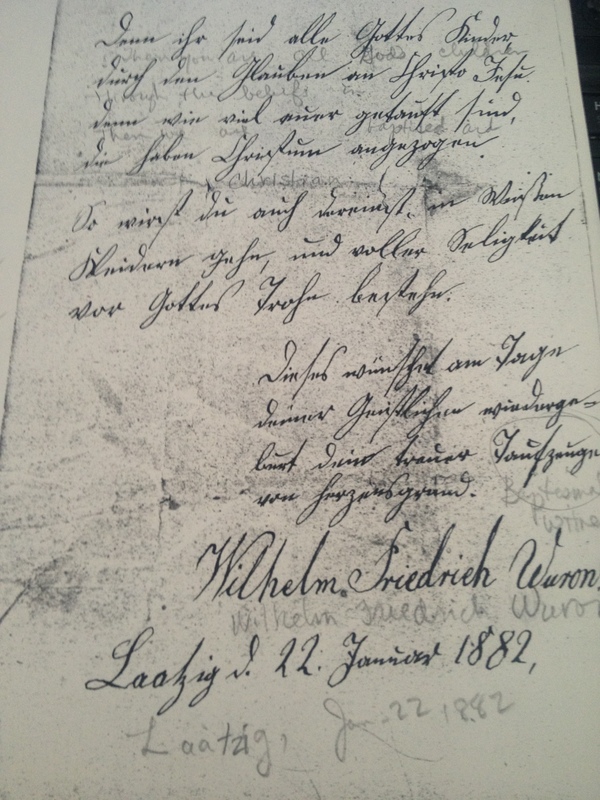 Here I have my great-great grandfather Franz Friedrich Schohsow’s baptismal certificate from February 15, 1856. I cherish this record because it lists his parents’ names, which were previously unknown by me, Gottlieb Schohsow and Dorothea Claudin (Tesh or Jesh) Schohsow. Next I have my great-great grandmothers baptismal certificate from 1858. 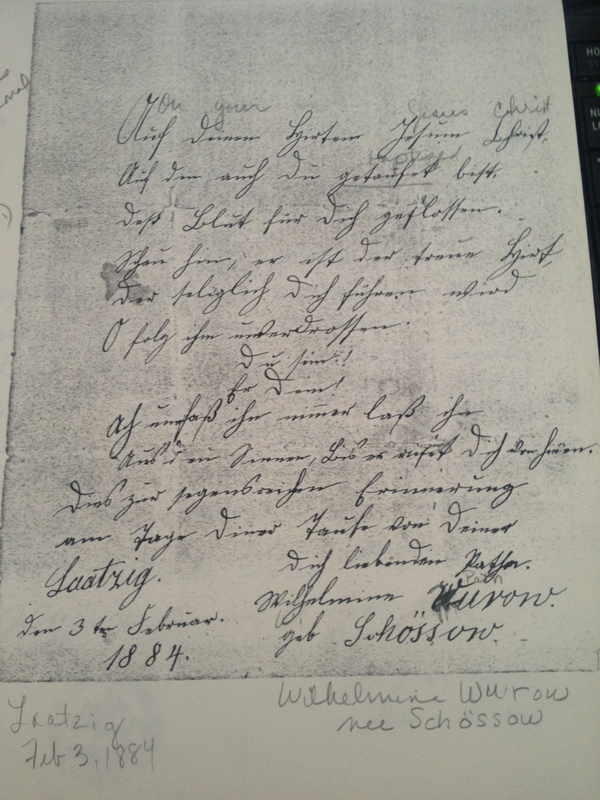 Her name was Luise Wilhelmine Friederire Schmeling, and her parents’ names were Joachim Friedrich Schmeling and Wilhelmine Friedricke (Ehmre) Schmeling (which I wouldn’t have known without this document). 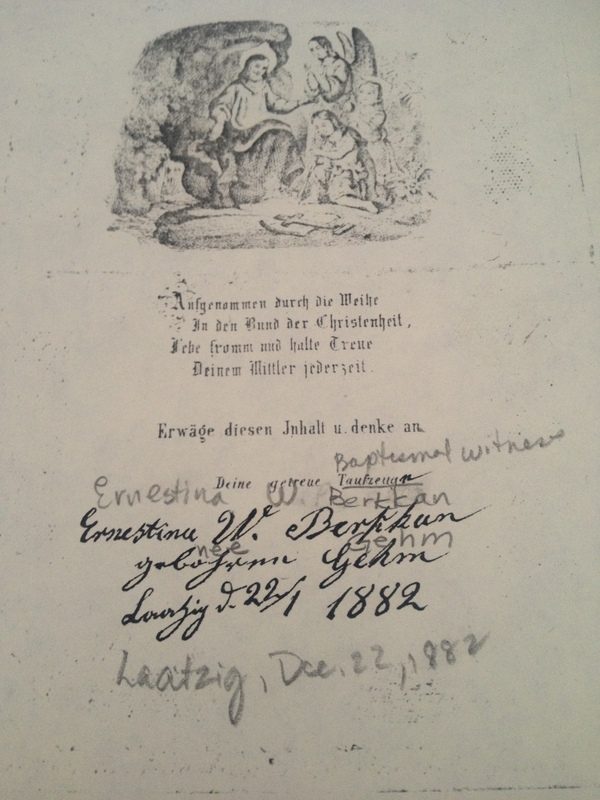 This is an interesting document because it shows her baptism as 1858, but it is signed in 1870. Maybe she had to prove her baptism in 1870 for some reason? I am not sure. 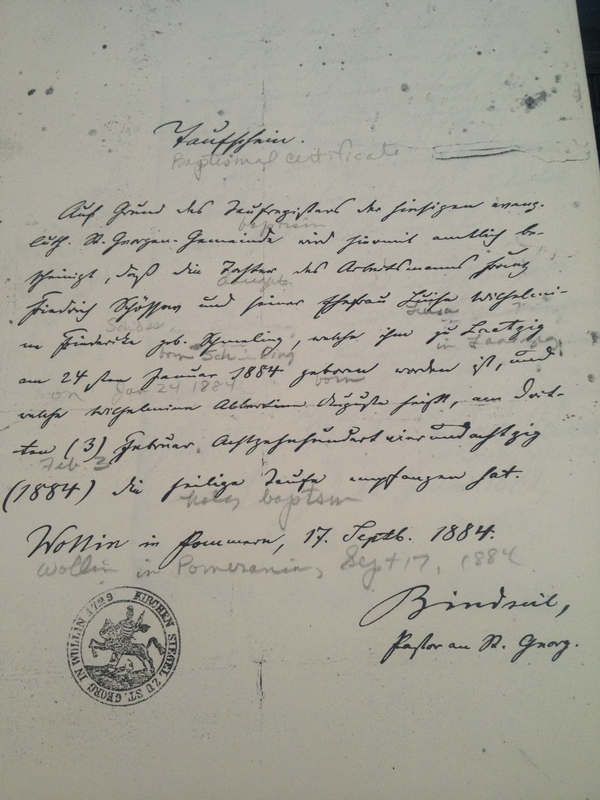 The next set of documents are from 1884 and have both my great-great grandparent’s names on them, but I can’t find the name of the person being baptized anywhere. This puzzled me at first. 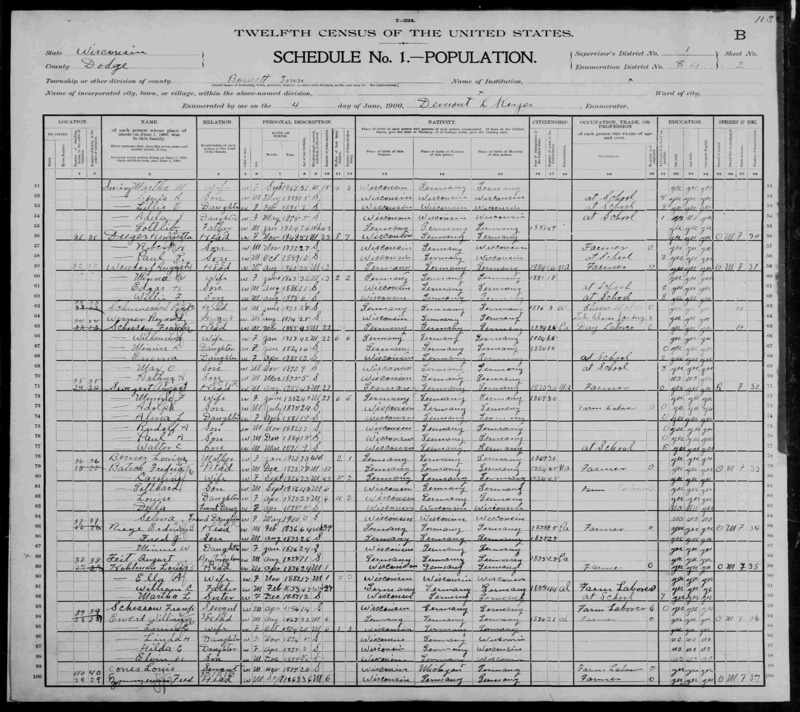 However, the 1900 census shows that they had a daughter, Minnie, around 1884, and her birthplace was Germany. I think I solved that little mystery! I have concluded that these are Minnie Schessow’s baptismal certificates, which her parents brought over with them when they came to the United States. Isn’t it a great feeling when you can connect the dots? This entry was posted in Church Records Sunday. Bookmark the permalink. To me it appears to Tesch in the Baptism record. Tesh, I added the c by mistake.